The OurSociety Experiment and our vision of the Progressive project to transform society draw inspiration from hundreds of other individuals who have contributed to society through their writings, research, innovation, and openness. These book reviews are our effort to spread the collective vision of transformation by deepening understanding of the past, present, and future. We frame these book reviews on how they relate to the Progressive project as described in the OurSociety blog section. If you’re interested in understanding these texts in more depth, please purchase the books for your research. Connective Journalism is the overarching theme of the book and can be summarized as the method by which news is transmitted and evolving to become a more inclusive form of communication. Youth Users especially identify with the story that they share as an extension of their persona. While identifying with the information received isn’t a new phenomenon, we can observe that the sharing aspect plays a more profound role in today’s youth. Finding a way to connect engagement to the news and information experience is the new reality of successful communication. 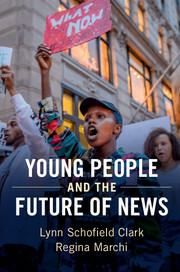 A critical task of the Progressive project is to communicate our vision for alternative futures in a method that resonates with youth, including them in the process of both news generation and dissemination. Citing several sources, the authors share that beyond information, numerous scholars have commented on the erosion of community and the need for a reconceptualization of the notion of community and its relationship to concepts of the democratic public. A core component of Progressive transformation is to deepen our access to one another, therefore once a shared vision of the future is agreed upon the Progressive project should seek to establish local community chapters. Similar to how we will see county Democratic and Republican organizations. Progressive groups would differ from the traditional local political organizations in that they would not solely function as an extension of an entrenched candidate machine, but also as a vehicle for sharing ideas and information related to the movement. We could imagine meetings consisting of a 10 to 30-minute presentation of information followed by a discussion lasting no more than an hour. The Progressive project is unique in that the central theme of the movement is about creating a series of systemic alternatives that are designed to evolve and change. Compare that to the traditional political ideologies which seek to expand a specific regime of thought tied to existing institutional arrangements. Young people often feel that they are seen as trivial players in the decisions and movements toward globalization, even as they are experiencing the shifts of national and global forces in their lives in significant ways. They respond to the social conditions of their lives through new forms of political expression, yet their efforts are often dismissed, feared, or ignored altogether. They move across a variety of public and communal spaces, and yet they are infrequently asked to comment on their own experiences with globalization or on their role in constructing knowledge about it. The Progressive project must create a narrative and process to provide a foundation for the youth to become involved in the shaping of society in permanence. The authors argue that at one-time people held out hope that the Internet might create a more equitable system for news creation and dissemination. Today’s patterns of concentrated ownership are unlikely to be disrupted unless we see significant changes in media regulations. In thinking of systemic alternatives, the Progressive project must not be limited to the laws of the present. Media and communication are a critical component of the human experience. Something so profoundly entrenched in our personal and professional lives cannot be entrusted to the whims of organizations operating on a purely profit motive. We require alternatives in theorizing on how to regulate these massive information companies properly. Do we socialize them? Do we place strict restrictions on how they provide information? Using Alphabet’s Google product as an example, we could imagine legislation requiring a proper ordering of data. For example, the initial five links for a search result would be required to present specific categories of information first, despite their popularity. An example would be Wikipedia, a Scientific Journal on the subject, a credible source reporting and summarizing the news, and finally, two blog articles of dissenting opinion arguing the topic. This is just one possible alternative out of many that could be conceived by those with deep technical understanding and a passion for open and transparent information. Focus on engaging youth as citizens, not profit generators. Cultivate connections with local community youth as sources for news. Partner with local community and school news efforts. Train young people as makers of news and new stories about their communities and. Train local youth in investigative research and partner in story production for different audiences with the aim of solutions-oriented journalism. Zizi Papacharissi, Affective Publics: Sentiment, Technology, and Politics (New York: Oxford University Press, 2015).